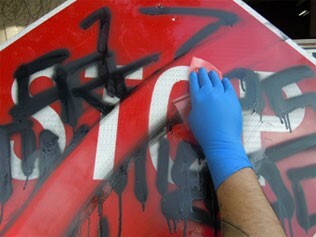 One safer Graffiti Remover replaces a range of products. 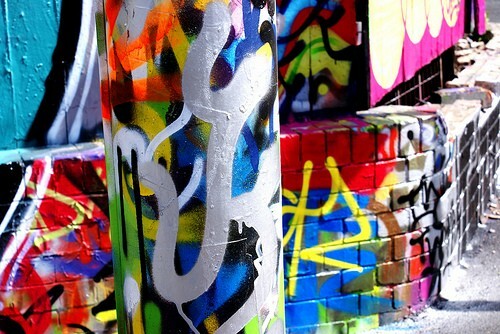 Use inside and out on many different surfaces, including Anti-Graffiti coatings..
100% biodegradable formulation. Contains no chlorinated solvents. Gelled for use on vertical surfaces. Fast acting & easily washes off with water. 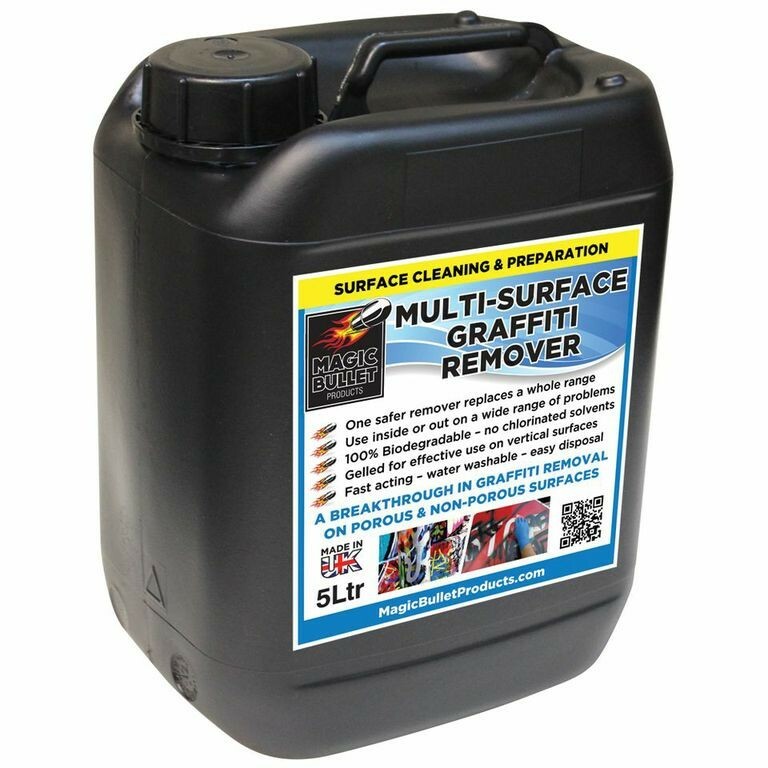 Magic Bullet’s ‘Multi-Surface Graffiti Remover’ (MSG) incorporates the very latest technology to allow it to work on a multitude of surfaces. It can be used on uncoated substrates such as Brick, stone, concrete & render as well as hard surfaces such as those found in Rail carriages, shop fronts and bus shelters. 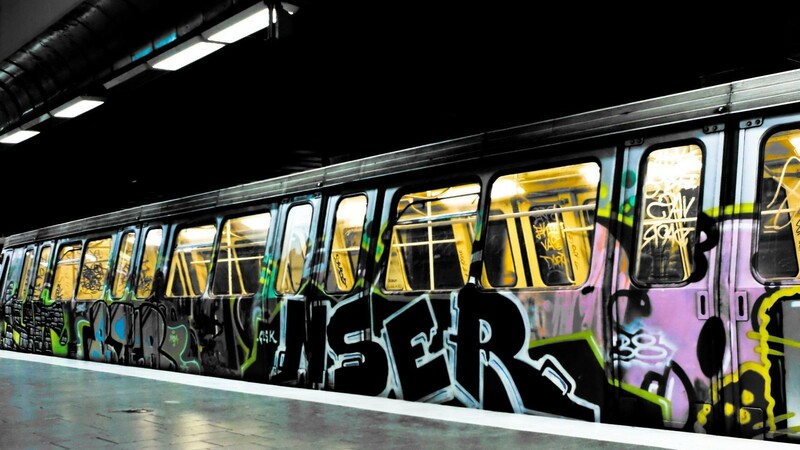 It can also be used to remove graffiti from many types of painted surfaces. TRIAL APPLICATION - Some Plastics and paints are not compatible with even the gentlest of cleaners, so it is therefore essential to carry out a ‘small discrete trial application’ prior to any use on these materials to see if removal can be carried out successfully & without any long term damage to, or change in, surface appearance. It is entirely the responsibility of the user to determine both the initial suitability and then the appropriate dwell times of our ‘Multi-Surface Graffiti Remover’ for their particular use.